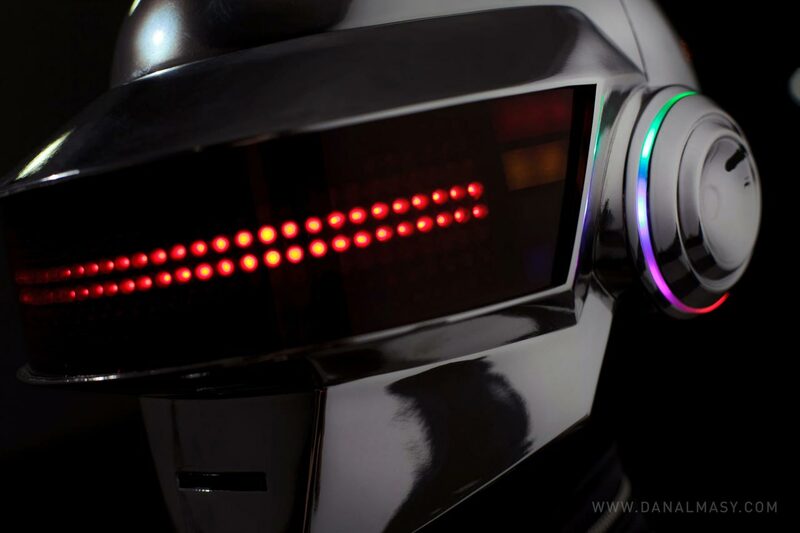 The most electronics-heavy project to date, the Thomas helmet sports nearly 400 LEDs and twelve circuitboards. 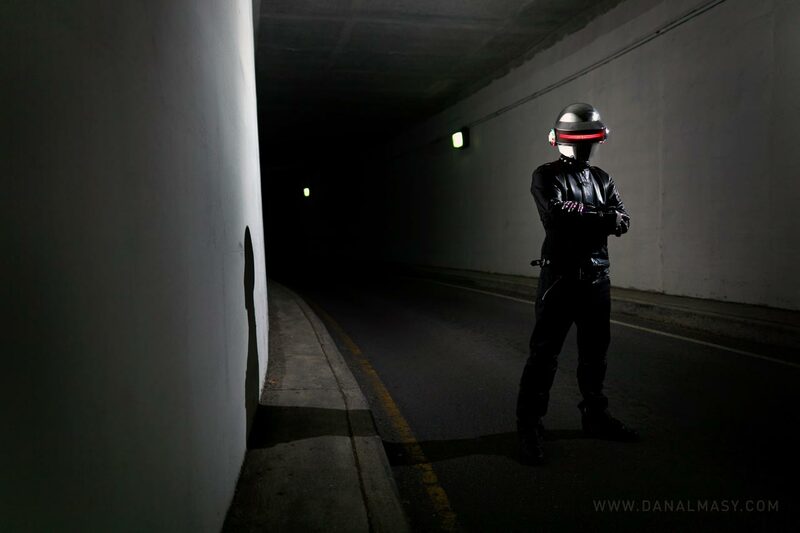 The 8×40 display matrix in the visor is capable of scrolling text and patterns and can be controlled by a custom iPhone app which updates the display wirelessly. 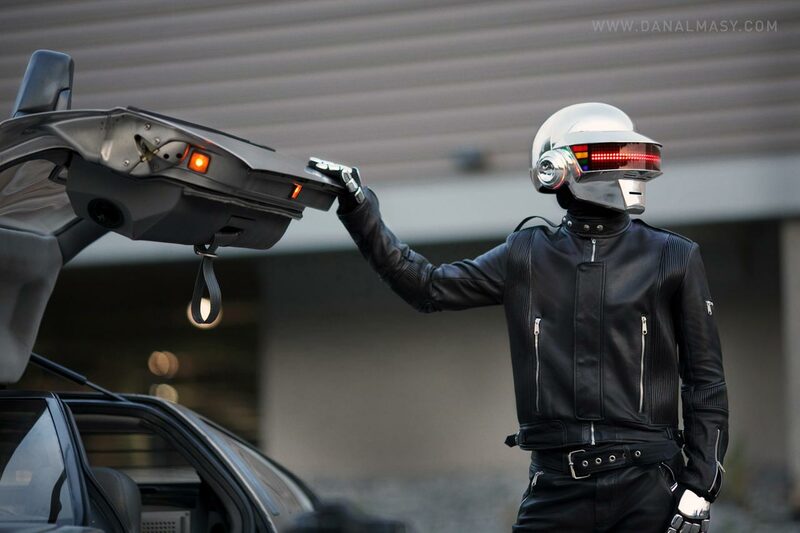 The result of four months of build and design time, the finished piece is remarkably lightweight and balanced. 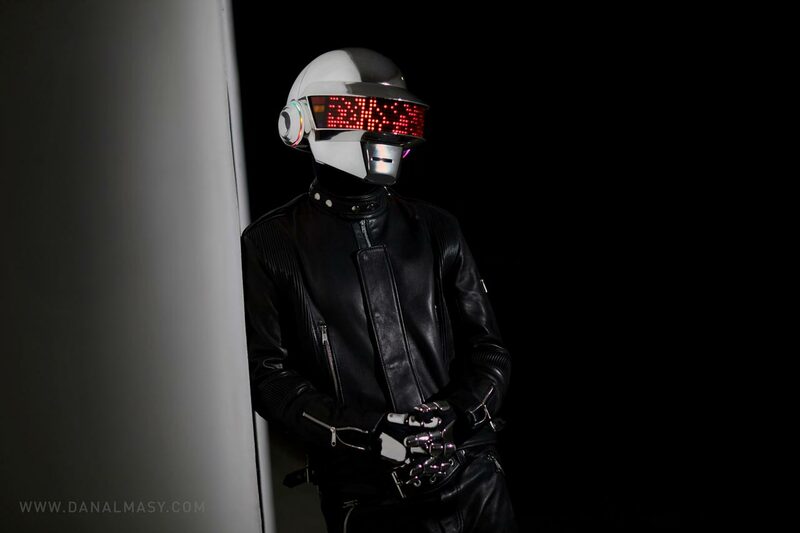 With the addition of two cooling fans situated in the lower visor area, wearing this chrome bucket is far more comfortable than one would imagine. 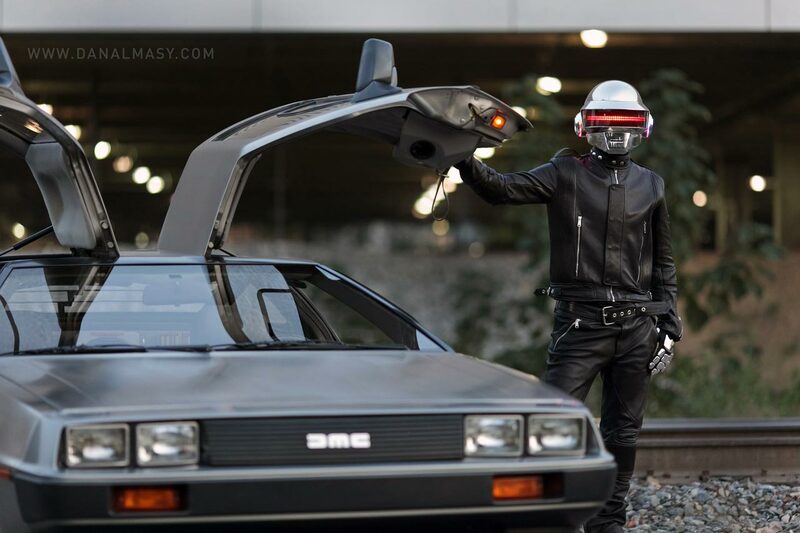 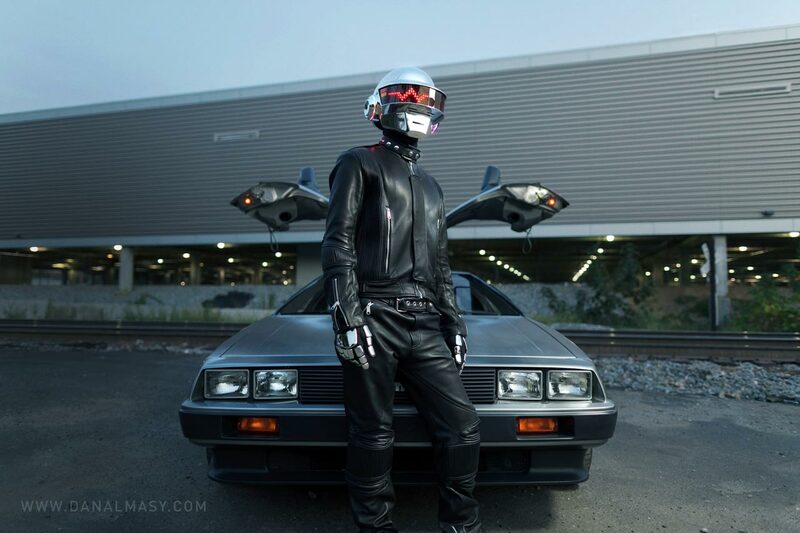 In fact, in the full leather suit and gloves, you’re actually cooler with the helmet on than without it. 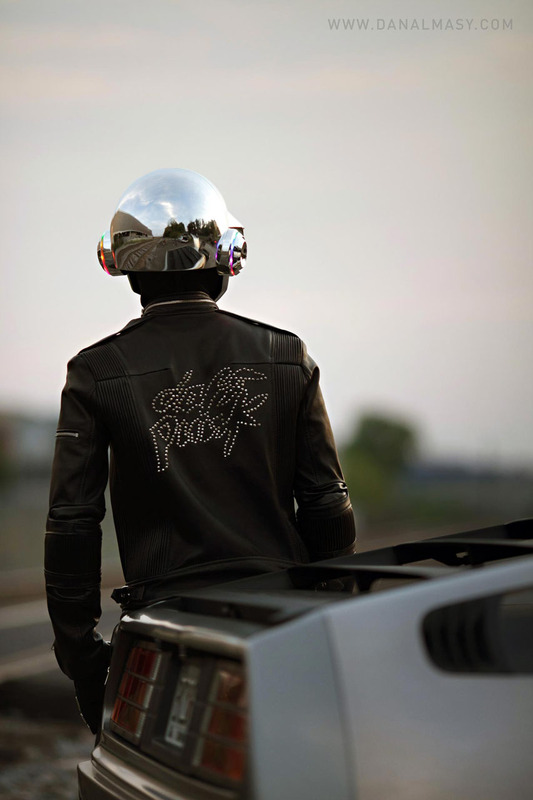 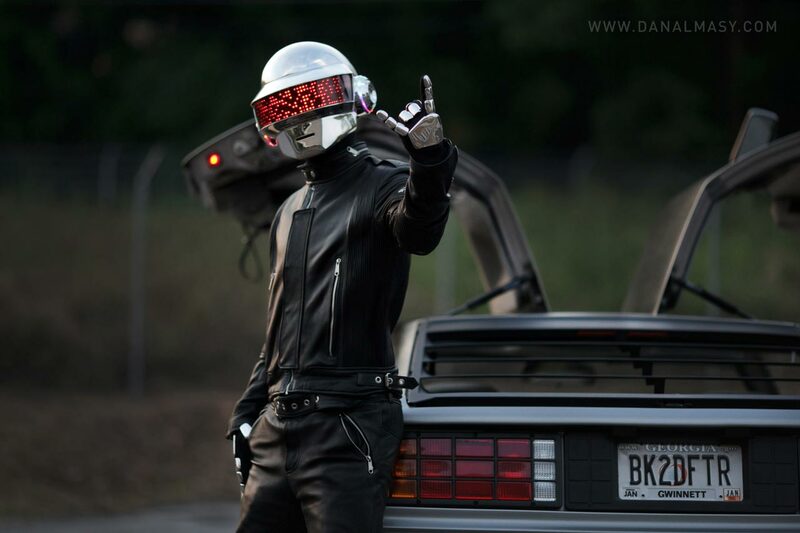 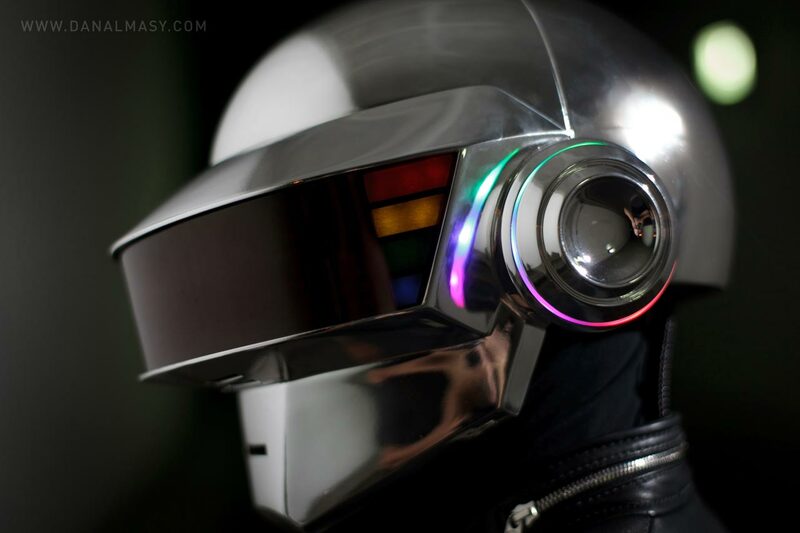 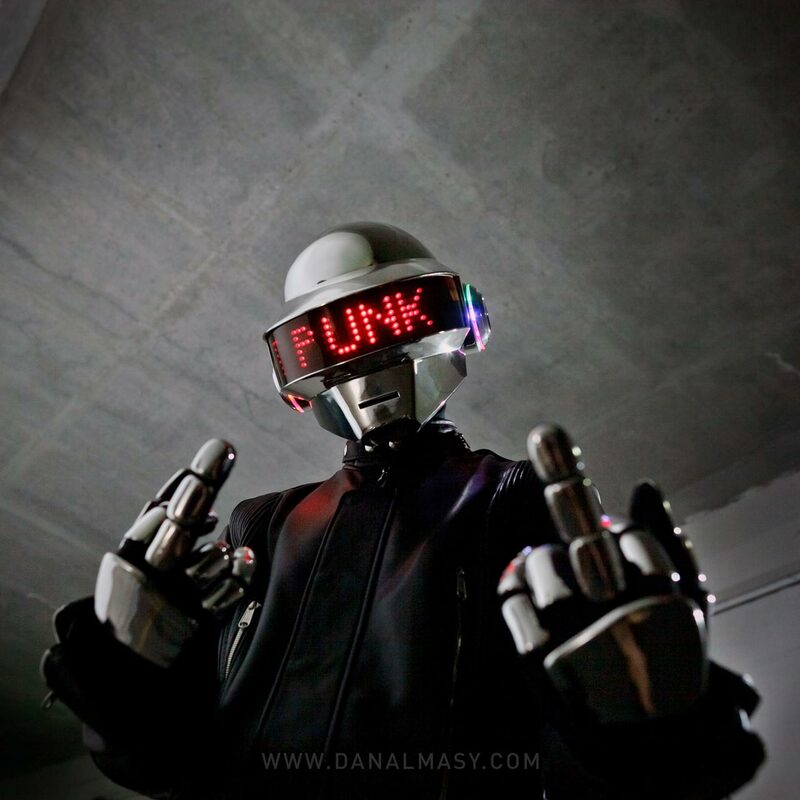 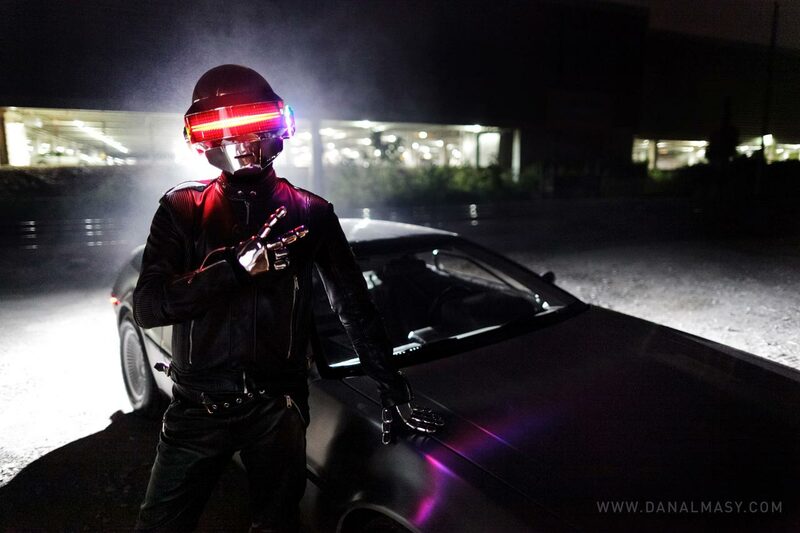 Click here for the Daft Punk Thomas Helmet design and build log.